Have you heard the one about the lady who died while sleeping in her car? What about the woman who forgot her child was in the car while she went into work? Actually after a quick google search, you will find several stories of this nature. I still remember my very first email address, I would proudly call myself “bzymom”. About six weeks ago I awoke one morning from a frightful dream. 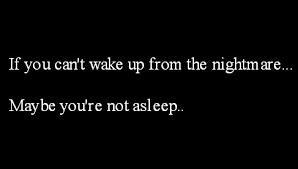 The kind of dream that bolts you out of a sleep, sitting upright, panting with anxiety. In this dream I was rushing, just rushing. In this dream I forgot “something”. I have no idea what it was that slipped my mind, all I remember was the panic mood that I started that day with. They say that if your dreams don’t scare you, their not big enough. This dream scared me and was a wake up call to the reality of my pace. Enough! Something had to change! You see, I knew that this just wasn’t a nightmare, it was my life! I had already been feeling the physical symptoms of “enough”. In hearing many other stories of fibromyalgia and the symptoms, I was certain this explained the full body aches and pains that would not only cause me restlessness sleep but also had me grimacing as my feet would hit the floor. Living in this body of mine for 50 + years, I know when somethings wrong. 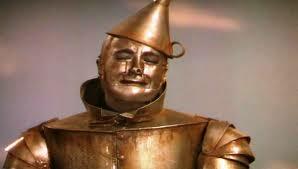 It felt, almost as if, I was rusting from the inside out just like Tin Man from the classic Wizard Of Oz. I knew two speeds, fast forward and stop! Although over 5 million people in North America suffer from this invisible dis-ease this post is more about you woman, or a woman you know, and doing too much! My heart goes out to these women and their families and I will be the last person to place judgement on them. My family and I can look back and find a little humor when on one occasion I forgot my 3 year old. Fortunately, so very fortunately, it was in our church. It wasn’t until the other two were getting buckled safely in their seats did we realize. Talk about wake up calls. WHEN exactly did rushing become glorified? It’s sad with so many people working 3 or 4 jobs, catching naps when and where ever they can, just to fuel the next round of their day. It’s so sad that minds are always thinking 3 or 4 steps ahead to miss “the present” and “the now”. A couple of resources that I want to share with you. Now, I know your busy ;), but just one of these resources can either shift your thinking in how you lead your life right now, today. Or it can be the last straw to what your already suspecting, what your already feeling day to day, to say enough. Firstly, Dr. Libby Weaver coined Rushing Woman. Not only does she have a book, she also has a beautiful TED Talk about the crises facing women’s health. WATCH IT! I cried in belief the first time I watched it. The other MUST WATCH is the Go Red campaign “Just A Little Heart Attack“. I’m sure you’ll nod at the familiarity of her morning routine. Lastly, clarity can give you a starting point as to what your lifestyle is REALLY like. You too can discover a personalized path to a happier and healthier life.